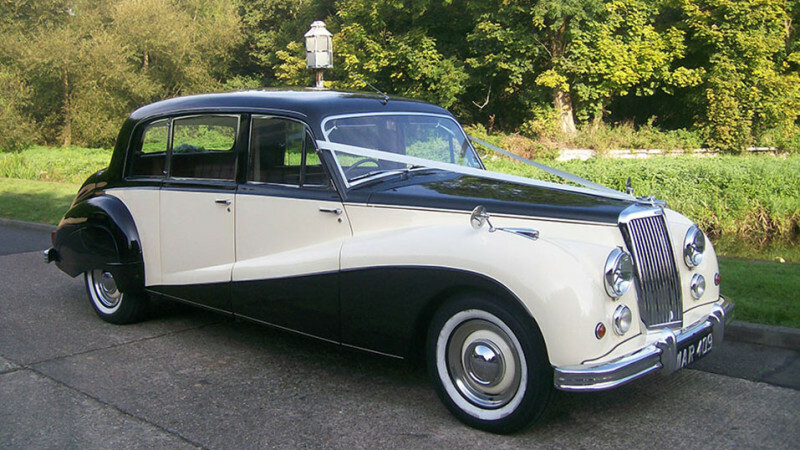 This very rare 1950′s Armstrong-Siddeley limousine can comfortably seat up to seven passengers. 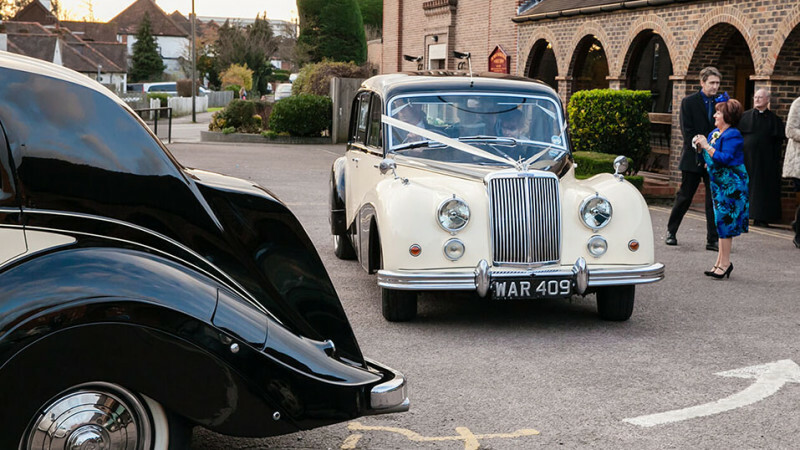 It is immaculately finished in Ebony and Ivory coachwork and recently had its seating re-upholstered in an elegant deep red leather. 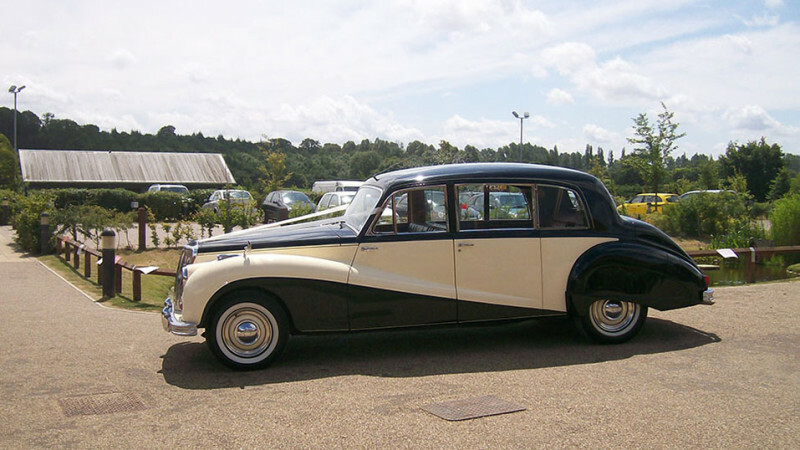 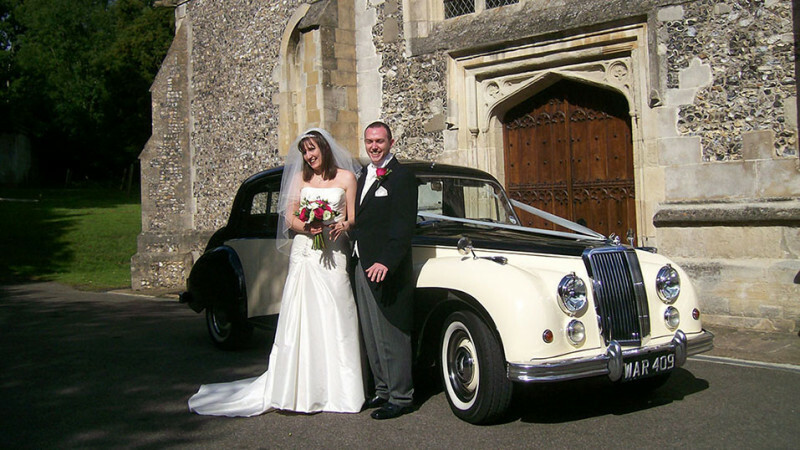 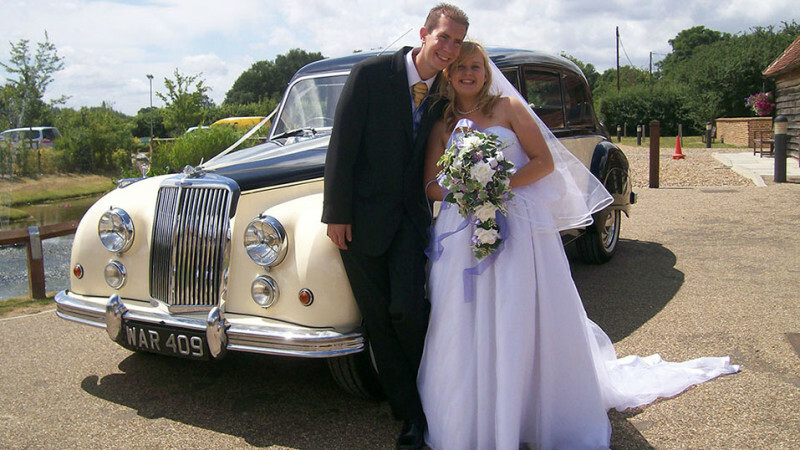 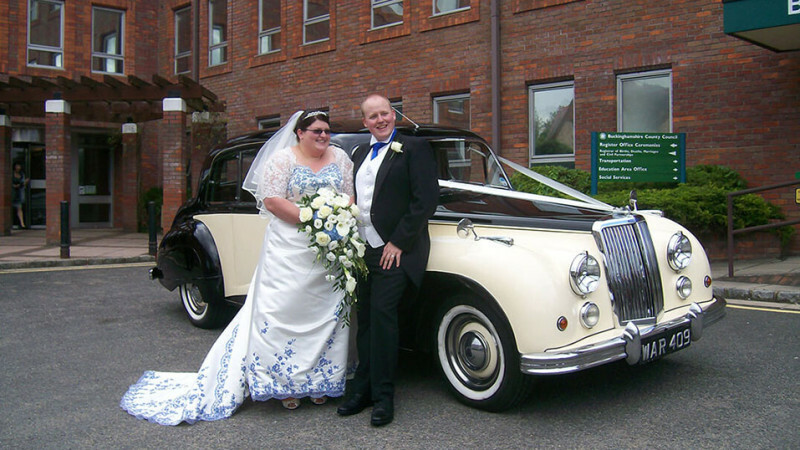 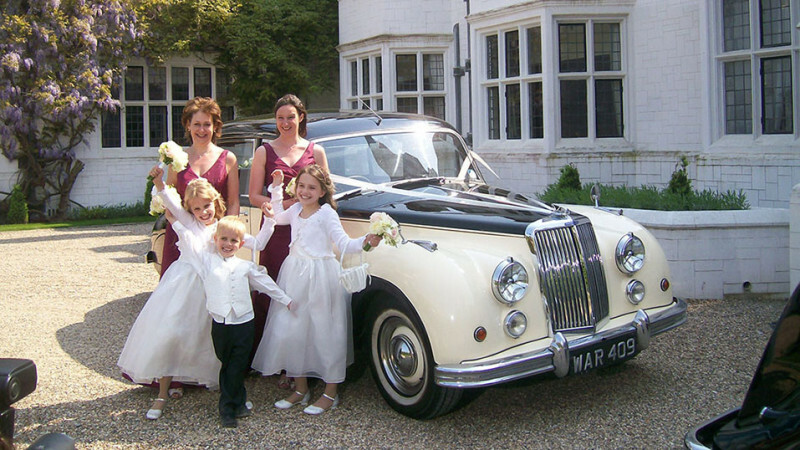 This wedding car provides a spacious amount of room for the Bride and Groom when just two are travelling but can be adapted to carry seven passengers by use of the drop down occasional seating so ideal for the Bridesmaids as well as the Bride. 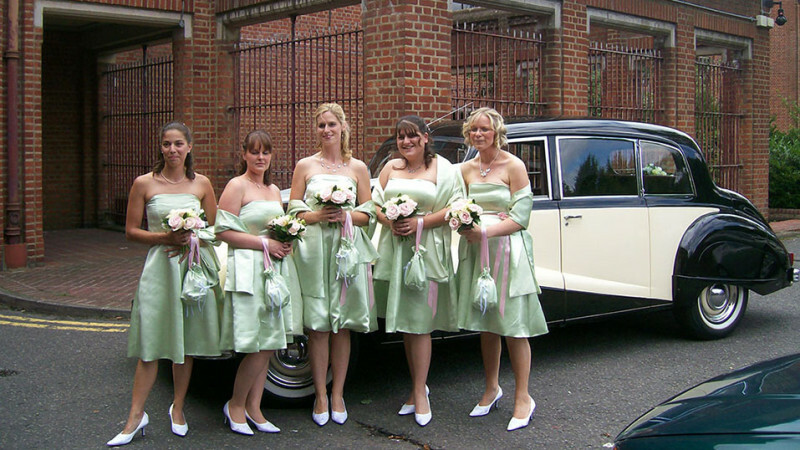 Is where the Vehicles Total Mileage 'Base to Base' does not exceed 50 miles, additional charges apply thereafter.